Racer Printing and Box Manufacturing is a wholesale box manufacturer and box printer, proudly servicing the Vancouver Area. We sell wholesale cardboard boxes at affordable pricing and superior quality for low, mid, and high volume requirements. 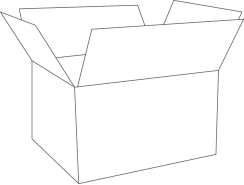 We also provide wholesale cardboard boxes in B.C. – Kelowna, Penticton, Vernon, Merritt, Courtenay, Cranbrook, Campbell River, Abbotsford…etc. Racer Boxes is an industry leader in services and flexibility, ensuring we’ve got you covered! We produce the highest quality cardboard boxes and box printing, with custom options for any needs. Contact us today for your wholesale cardboard box services in the Vancouver Area. Stock Cartons: Single wall corrugated cardboard box – glued carton / kraft in plain. Prices do not include taxes. All carton are made in Canada.